Although there’s no such thing as one single best knife, there are a lot of great ones. This list was accumulated through significant amount of testing for each knife with the best wood for carving. 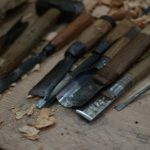 In no particular order, here is the our list of the best wood carving knives out on the market. If you plan on attempting to carve wood and want to minimize the amount of tool you need to do it, we recommend getting the Beaver Craft Whittling Knife. Arguably the top all purpose wood carving knife is most known for its applicability among any type of whittling cut, essentially bridging the gap between amateur and veteran tools for a portion of the price. Best part: it cost almost nothing. With a 3.15″ durable high carbon steel blade, this sloyd knife is designed to handle more than just general whittling. It is the easiest model to use for smooth rough cuts without it feeling like the blade is loosening out of the handle, a problem that is incredibly apparent in most cheap and fold-able knives. If a knife can handle the bulk of the carving with smooth rough cuts, usually it would strictly be considered a knife designated for rough cuts (A.K.A. “roughing knife”). However, Beaver Craft’s sloyd knife has a unique design, one that supports all types of whittling cuts. The thin pointed tip can be used for fine detail cuts and allows tight crevices to be worked in with ease. The handle is made out of hardwood oak and shaped to outline natural grip positions that make it easy to carve for an extended period without getting hand fatigue. Speaking of oak wood, the blade on this tool works well against hardwoods so you’re able to make a wooden spoon out of any type of wood you find! However, like all knives, the blade will eventually dull if routine honing isn’t done. 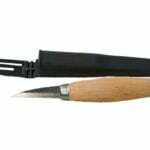 For the price and quality Beaver Craft delivers, this wood carving knife is a staple for any carver to use. From it’s comfortable ergonomic handle to it’s razor sharp edge that comes ready to use out of the box, all factors make it the best whittling knife for everyone. Opinel has been a trusted knife brand for well over a century. It has a growing line of folding knives, and this one has sold out all the others significantly. It is small enough to be a pocketknife, yet its size is versatile for several applications. The carbon blade is 3.25 inches, preventing it from being deemed as a weapon in most states. With the blade being made of carbon, it is extremely sharp, holds an edge for extended periods of time, and resharpens easily. It cuts through just about anything like no other knife. Whittling becomes an incredibly easy task with the No. 8. As a safety measure, Opinel installs a Virobloc ring locking system on these knives. The Virobloc prevents the blade from closing while opened, as well as opening when closed. The handle is hardwood, ensuring that it will be durable for sustained use. The overall knife is also light and makes for easy handling. The Opinel No. 8 is extremely efficient and practical, serving their users well for many years. However, it is more widely known for its historicity and beauty. In fact, Opinel knives have been named one of the top 100 most beautiful products in the world. The classic design makes the knife easy to handle and easier to use and is one of the best whittling knives you can find. Next on the best whittling knives list is the Morakniv 106 (or, Woodcarving 106). It is the slightly larger sibling to the Morakniv 120. With a tapering blade length of 3.2 inches, this carving knife is light and makes for trouble-free use. The blade is made of durable laminated steel, tapering from the tang, which is a full tang, down to the point. It rarely needs sharpening and arrives extremely sharp. Morakniv manufactured this knife maintaining the intention of precision cuts, but with the larger blade allows for whittlers to perform more generous cuts. It is made of premium-quality materials, including the handle. Similar to the Morakniv 120, the handle is oiled birch wood, allowing its user to form it to best suit their grip. The original grip is excellent without modifications, however; fashioned ergonomically to fit a wide array of hands, the handle is slightly oversized to allow for enhanced control over the blade. The 106 is a perfect knife for beginners because the size allows for both large and precise cuts. With the extreme sharpness, beginners can decrease the need to make exaggerated cuts and minimize the possibility of injury. Again, Mora also includes a limited lifetime warranty. 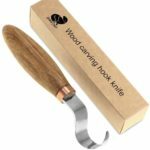 Flexcut is another trusted brand among the best wood carving knives list, especially when it comes to woodcarving and whittling. The Whittlin’ Jack is the perfectly portable companion to do whittling anywhere and at any time. This tool is similar to a pocket or utility knife, sitting at just over 4 inches long. It will feel weightless as it sits in your pocket, weighing in at just 3 ounces. Together, these make a simple set worthy of taking on a variety of tasks. Wafer-thin details along with some generous slicing are achievable with these blades and provide the basics to a successful whittling project. The blades fold into the overall tool well and are not a problem to open and close, yet maintains firmness, so the blades do not close on you while in use. The handle, surprisingly to some, is comfortable and provides ample control over the edges. While not its main selling point, the Whittlin’ Jack adds sleekness and style to its superb performance as a whittling tool. No doubt a diverse choice in this list of best whittling knives. This little knife is an excellent tool, especially for beginners. The knife itself is about 3.5 inches long, and the blade is 1.25 inches. A fantastic feature about this knife is the blade. As the brand name implies, the high-grade carbon steel the blade is made of possesses some spring, or, flexibility to it. Thus, as you carve using this knife, the blade will follow the contour of carving, eliminating the need for several tools to complete what only needs one: the Flexcut Cutting Knife. 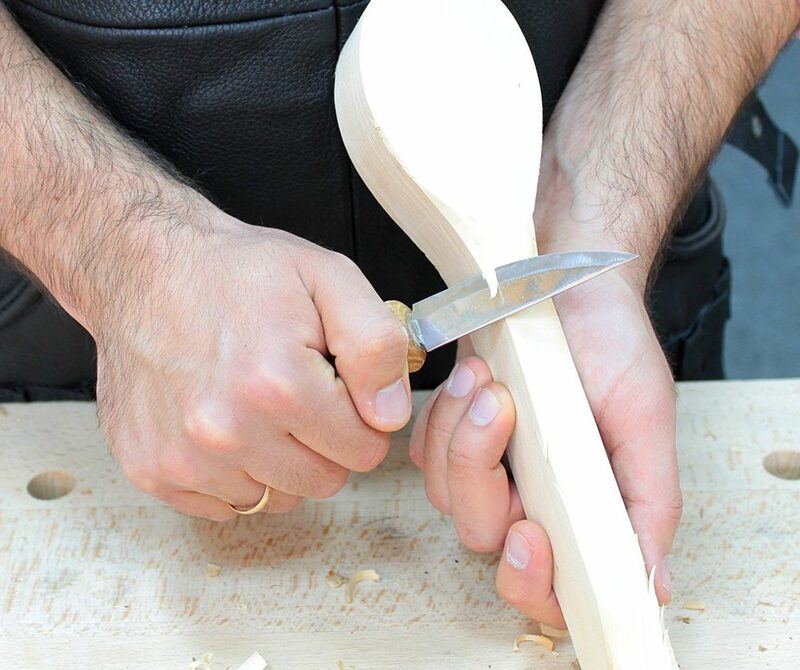 Another notable characteristic is the rounded top of the blade, also known as a drop point, allowing users to employ safe hand methods when carving. Each of these comes pre-sharpened and absolutely razor sharp. The edges, as a result of the carbon material and pre-sharpening, hold well and can be sustained for considerable lengths of time. These knives have also been hand honed and polished, ensuring each one is of the utmost quality. The handles are ergonomically fashioned and made of durable ash wood. 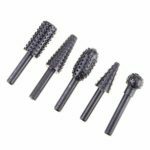 Not only are they extremely useful, but they also are beautiful works of craftsmanship, which should help translate into its user’s Beginners will find this tool particularly beneficial because of the flexibility aspect. The Flexcut Cutting Knife is one of the best whittling knives and will provide experience in the craft as an instrument that is capable of creating clean and beautiful projects. If you are looking for a knife to make a spoon or need a rounded edge to add some detail in your whittling project, look no further. The Morakniv 164 (Woodcarving 164) is the perfect U-shaped utensil for making detailed cuts or rounding out bowls and spoons. The knife is full tang, a very important detail to look for when searching for the best whittling knives, creating a tool superior in strength and robustness, able to outperform almost all other hook knives you can find. The blade is single-edged so that you can perform push or pull cuts with one hand atop the blade for enhanced control. As a result of its high carbon steel making, it comes extremely sharp, just as all knives from Mora do. There is little need to resharpen as it holds its edge well widely considered the best spoon carving knfe. The knife itself is 6.3 inches while the blade length is 2 inches. The internal radius of the U-shape is .5 inches. 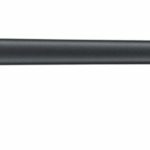 The 164 is extremely light, providing a safer and more controlled experience, improving the success of your finished product. The handle is again made of oiled birch wood, allowing for personal fashioning to fit the user’s unique grip best. As with the other Mora products featured here, this knife has a limited lifetime warranty. Another tool in this list of best whittling knives is the Carvin’ Jack series, the Tri-Jack Pro offers three unique tools for excellent woodcarving and whittling. Just as portable as pocketknives and lighter than most, the Tri-Jack is perfect for whittling on the go. This device provides a roughing knife, about 1.75 inches, which can be used for texturing and creating surfaces from which to add detail. The second knife is a detail knife that is 1 5/16 inches and used for exactly what its namesake implies. The final blade is the mini-cutting knife, at 1 1/16 inches long, allowing for thin cuts and extra detail. The blades are high carbon steel and provide for excellent cutting. They are as sharp as razor’s edge and will only require occasional stropping. An improvement on the Whittlin’ Jack, the Tri-Jack offers a locking mechanism on the blades, increasing the safety of the entire tool and peace of mind of the user while whittling. The handle of the Tri-Jack is fashioned into a Pistol Grip, producing a comfortable hold and prevents hand fatigue to allow users to carve for hours on end without pain. Flexcut’s Tri-Jack Pro is a unique tool that has no equal in the department of whittling multi-tools. The Carvin’ Jack is a one-of-a-kind tool that offers something that woodcarvers have never before had access to. The six blades are as follows: 3/4” #7 Sweep knife blade, 3/8” #6 scorp, 3/8” #11 gouge, 3/8” #1 straight chisel, 1-3/8” detail carving knife, and 1/4” 70° V-scorp. All the blades are high carbon steel, pre-sharpened, and razor sharp, as are the majority of Flexcut products. This product of the Carvin’ Jack series is a genuine pocketknife, with all tools nicely folding into each other. The handle is comfortable and ergonomic, plus, Flexcut offers both right-handed and left-handed models. The Carvin’ Jack is one of a kind, the only multi-tool of its type in existence. Flexcut impressed by handily providing whittlers with six unique tools in one instrument. They allow you to perform just about any whittling action for all kinds of projects with this device. Whittlers always have an opportunity to whittle some wood, whether at home or on an exotic vacation, any moment is a moment to use the Carvin’ Jack. Without the need for several large tools or a work bench, carvers can work on any piece of wood. With the six unique blades, you have the entire kit of a wood whittler’s workbench in your pocket, making it possible for you to whittle anything into a masterpiece. Additionally, when you buy the Carvin’ Jack, you will also receive a sheath-like pouch and a strop for sharpening whenever necessary. Let’s see what’s next on the best whittling knives list. Designed by the great Wayne Barton himself, this pair is the best whittling knives for chip carving and has set the standard for woodcarving knives ever since. With that said, they are perfect for beginners in whittling or chip carving. The two piece set complements each other well, including a cutting knife for most of the heavy work and a stabbing knife for the intricacies of the design. 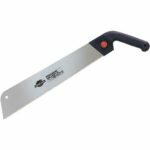 These blades of are made of high carbon alloy steel and the handles are laminated hardwood. They are also oversized to provide users with a comfortable grip. Made to Barton’s exact specifications, these are the only knives he uses to create his incredible masterpieces. These tools, known for their longevity and durability, could end up lasting decades and possibly a lifetime with the proper care. They are incredibly sharp from the beginning and can be used to cut through any wood. The blades are sturdy and firm. The knives are full tang, adding to their strength and reliability. They hold their edges well and whenever necessary, can easily be sharpened again to perform just like new. If you want to reduce the cost for excellent whittling instruments by eliminating the need for several tools, Wayne Barton’s two modest knives are the best way to go. Mora’s Companion series is one of the most well-liked and versatile in the world. With several different types of Companion knives, any woodsman or woodcarver can find the exact knife he/she needs. For this list, we will be considering the Mora Companion MG. The blade is fashioned from high carbon steel and fixed into the handle, removing any doubt that it may become loose. It features a Scandinavian grind that is perfect for slicing through almost any wood you come across. The 3/4 tang leaves the blade with plenty of durability and strength, creating peace of mind for its user. The edge holds well, as do all Swedish carbon steel blades that Mora creates. It is reliably sharp, and incredibly efficient at cutting wood into pieces of ribbon. For whittlers, the Companion is meant to take on the heavy duty work, taking off large portions of wood. However, the blade is easily manipulated to make technical cuts if necessary. The blade itself is 4.1 inches long and about 2mm in width. It is lightweight, weighing only 2.7 ounces, making it a breeze to carry. The handle is also remarkable. Made of rubber and designed to provide excellent handling, it absorbs shocks and allows users to hold it securely. Companions are perfect for any experience level, making it a most reliable tool. It’s almost a given why this knife is on this list of best whittling knives. As always, Mora offers a limited lifetime warranty for this product. Hands down one of the best wood carving knives I’ve purchased and used by many survival knife enthusiasts. If you’re looking for other tools for different styles of wood carving, be sure to check out our list of best wood chisels and best hand saw. What are the knives in the picture? There are links to each knife for further details and specifics by clicking the picture. Morkaniv 120 – 35 inch blade, a small sword! Your list is limited to Mora & Flexcut with Wayne Barton’s Chip carving knives thrown in for diversity sake. These are all good knives, but they are many great wood carving knives out there that are so much better. Unfortunately you didn’t mention Cape Forge, Pine Forge or OCCT knives ( formerly Denny Knives) maybe it was because they’re not sold on Amazon, but either directly from the manufacturer or woodcarving supply houses. True the Cape Forge & the Pine Forge are pricey, but the OCCT knives run around $25.00 and are in my opinion the best dollar for dollar woodcarving knife you can buy. Yes, the Mora knives are great. The Barton knives are great. The Opinel can be modified to be great, and I have done so many times and teach courses on how to do it, but factory fresh an Opinel is not good at all for detailed whittling. The flexcut products are usable but WAY over priced. There is a world of wonderful pocket knives out there that cost a lot less than the Flexcut versions, and are just as good – better in my opinion – especially after they have been modified a bit, which is easily done with a file and sharpening stones.